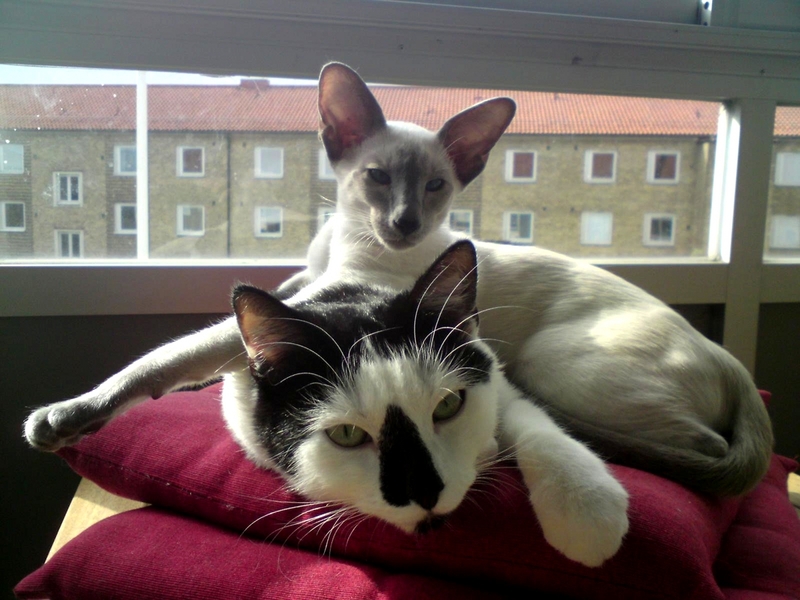 We got some pictures of Sung (Alessandro), the finest Siamese in Malmö (we think :)). He loves his friend Skeletor and gladly studies biology with his matte. He weighs 3,6 kg already (0,3kg more than his mom!). And he looks like Jossan with blue points, I think! Jossan produced seven mini-mes in different colors. Goofy (the kittens’ father) helped with the coloring part. Both Jossan and Goofy have English lines in their pedigrees, with more robust body types. 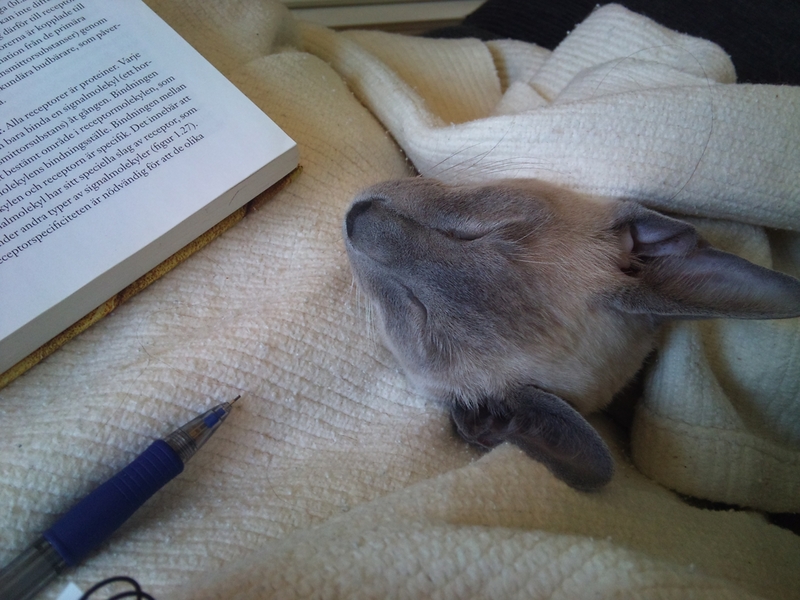 Cuddly, big Siamese! Look at those eyes! Look at that… hm, enthusiasm (okay, everyone gets tired now and then) for studying biology! 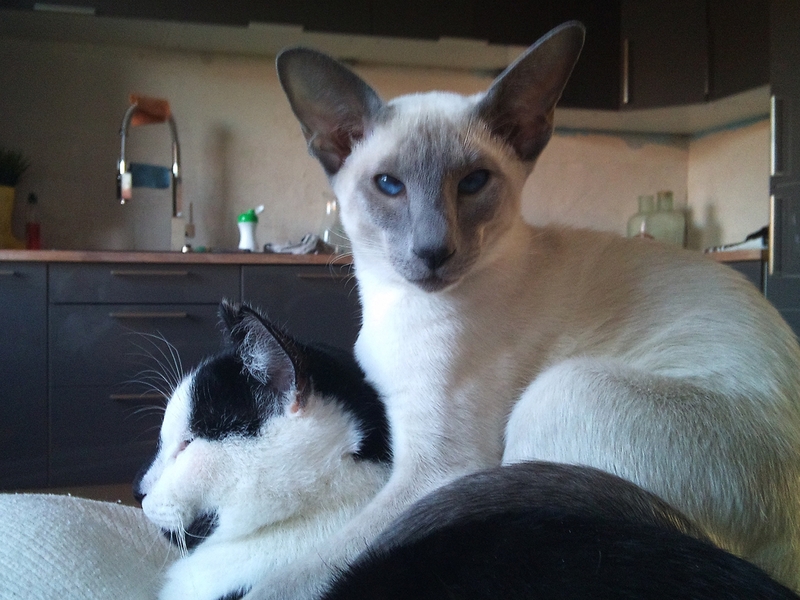 Siamese are very helpful and supportive, and Alessandro is not an exception! Augustin/Gusten caught his first mouse a week ago (the mouse died from a heart attack after being tortured and hunted for 10 hours). Antoine/Tjabo killed his first mouse more than month ago, he was the first of them that killed something more than a toy. 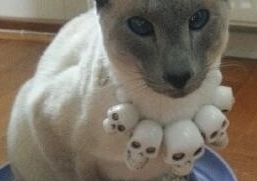 Those little, cute, furry killers! 😦 Instincts, what can one do. Alfred and Ada did not kill anything yet, although they made several attempts to murder a very big plant. Miii managed to get out of the house yesterday. It is cold and we just moved here, I do not dare let the cats go out. She yelled like crazy and ran over four of the neighboring lots! I followed and called her, but she did not want to come to me. Still, she yelled back and did not want me to leave while she explored the area. After 30 minutes I got tired and desperate and went back home. I knew what would happen – and yes, in 5 minutes there she was – back in front of the main entrance, yelling to be let in. 🙂 Miii likes to roam, but she does not like to do it alone. 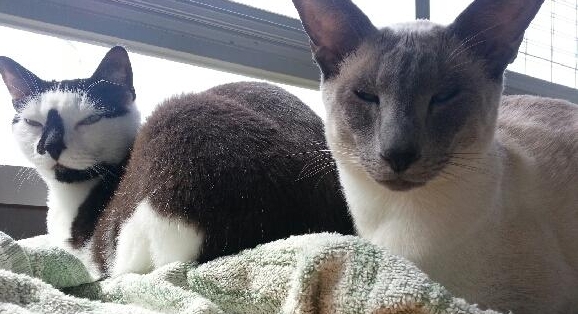 Here is a picture taken 6 days ago that we got from Sung’s (Alessandro’s) owner; two little friends. Alessandro is so pretty! 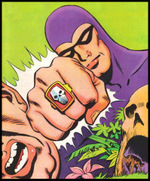 I am very happy that he and Skeletor get along well! 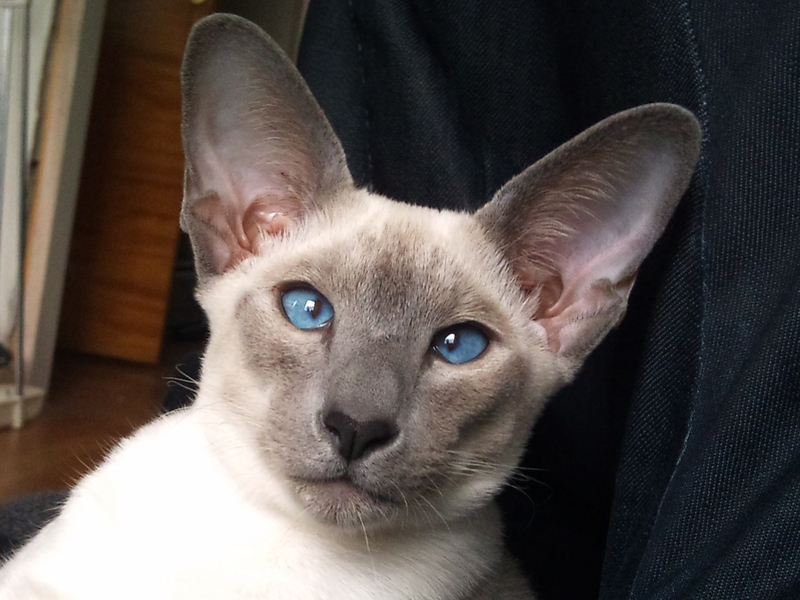 Our beautiful blue boy Alessandro has moved to Malmö. 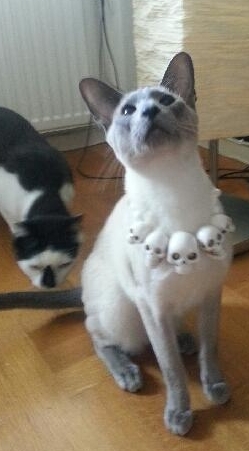 We prepared him for Skåne by teaching him to meow using only diphthongs. His matte Ellinor came to Stockholm by plane and took him to Malmö also by plane, where everyone enjoyed listening to those diphthongs we taught him. 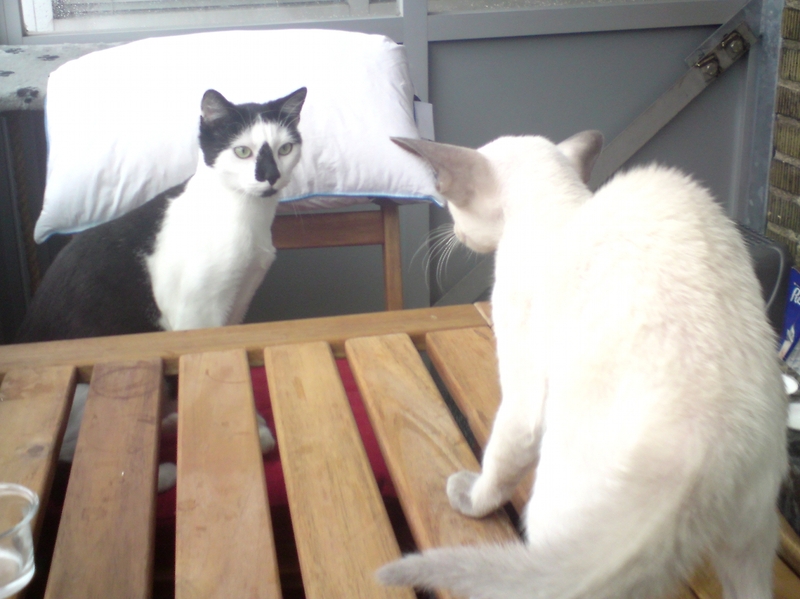 Alessandro’s new cat-friend is Skeletor, a neutered mixed breed guy, with a very special look and behavior. The next day went much better for Alessandro’s inter-cat relations, and Skeletor and the little one seem to have a great time together. Watch and melt! Many hugs to little Alessandro and Skeletor! Thank you, Ellinor, for taking such a good care of Alessandro and for sending us photos and the video!